yourgreatfinds: The MOTHER of ALL SALES!!! The Mother of all SALES!! 35% and 40% OFF!!!!! All THREE of my Etsy Shops!!!! And the shop where I offer inventory from One Kings Lane that is not being shown at the time...at drastically reduced prices. I also raised my discount to 40% in many categories in my main yourgreatfinds Etsy shop. Thank you for helping me reduce my inventory so I can find things when shipping. 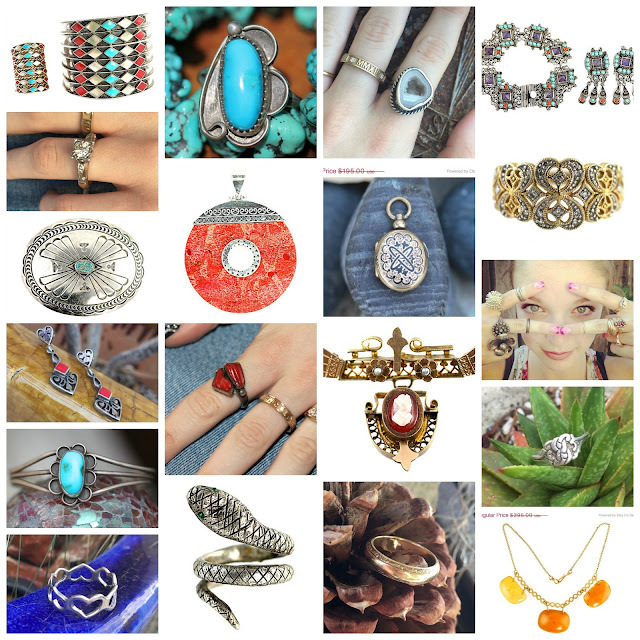 With 6 stores and 2 websites, I am overflowing with jewels. Even the best organization fails with you have too much. I hope that you'll find something that you can't live without.